Discover the beauty and history of the Dutch and Belgian waterways in the spring. 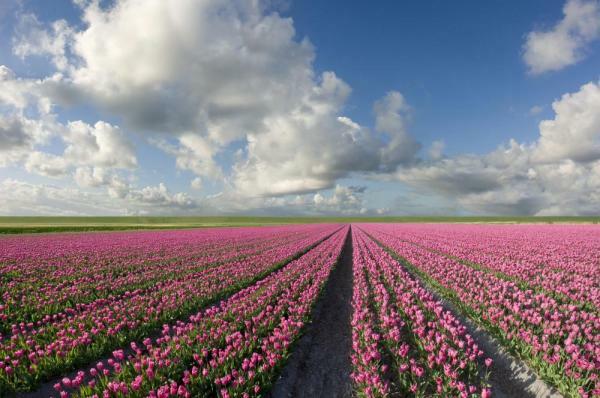 Admire the spectacular tulip carpets in Keukenhof Gardens. 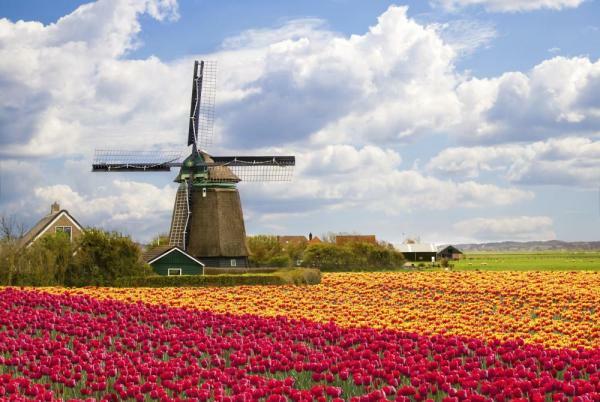 Visit the lush green countryside of Kinderdijk, home to the country’s greatest concentration of windmills, and experience Amsterdam’s distinctive architecture and vibrant nightlife. A wonderful opportunity to admire the great medieval cities of Antwerp and Ghent and to delve into the cultural traditions of the friendly Dutch and Flemish people awaits you. Welcome to Amsterdam, a modern city with a rich and fascinating 700-year old history. Explore its unique and elegant architecture, lively cafés and markets, and vibrant nightlife. This evening, meet your fellow travelers on board at the Welcome Dinner. After breakfast enjoy a panoramic city tour of Amsterdam, that includes a windmill and other iconic landmarks like the Royal Palace and historic Begijnhof. Return to the ship for lunch while you cruise the Ijsselmeer towards Hoorn, where you have a choice of either visiting a tulip farm and driving through fields of bulbs, or seeing “De Halve Maen,” a Dutch East India Company replica ship, followed by a walking tour of this town. Arrive in beautiful Arnhem early this morning and choose from three tours today. Your first option is to see the monument commemorating the battle made famous by the classic film “A Bridge Too Far.” Visit the Airborne Museum and learn more about Operation Market Garden, one of the major campaigns of World War II. Alternatively, you can visit the Kröller Müller Museum, which houses the second largest Van Gogh collection in the world, or join a guided bike ride through Arnhem. After your tour, return to the ship for lunch and cruise to Nijmegen for some free time. Enjoy scenic cruising this evening as you sail through the Netherlands en route to Belgium. This morning, you have your choice of one of two different excursions. Your first option is a walking tour of Antwerp on which you can see Antwerp Castle, Grote Market, Brabo Fountain and the city’s superb architecture. Your second option is a visit to Rubens House, the former home of the famous Flemish Baroque painter. This afternoon, choose between a Belgian chocolates and waffles tasting or a guided bike ride. After dinner, your ship departs for Ghent. Today, you can either choose a full day excursion to Bruges, a UNESCO World Heritage Site, or stay to explore Ghent. Bruges features many marvelous things to see, including Grote Market and the city’s historic center. 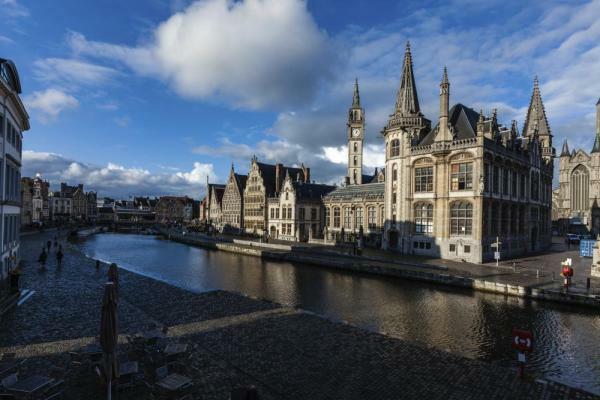 Those that prefer Ghent have a choice between a walking tour and chocolate tasting, with highlights like Belfry Hall, the Koornlei, the Graslei and the Castle of the Counts, or a guided bike ride. This morning there are three ways you can discover Rotterdam. The first takes you to see The Hague and then visit Delft, known for its canals, historic town center and being the manufacturing base for Delftware, hand-painted blue pottery. 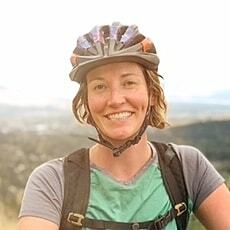 Alternatively, you may explore the Delta Works, which showcase an impressive series of dams and Dutch hydraulic engineering, or join a guided bike tour. 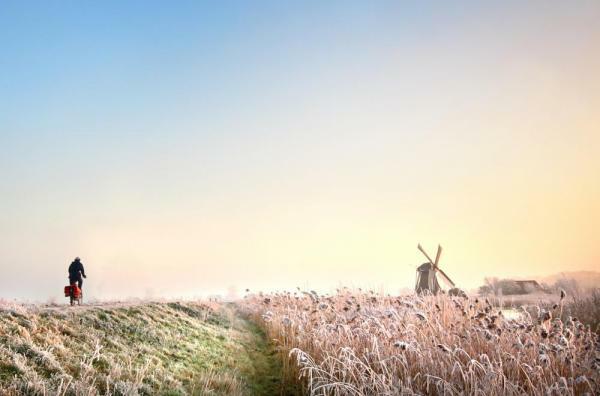 In the afternoon, visit the UNESCO World Heritage Site of Kinderdijk, a lovely village renowned for having the country’s greatest concentration of windmills, all dating from the 18th century. Tonight the ship cruises to Schoonhoven, where you have some free time as the ship moors overnight. Arrive in Amsterdam today. Admire the spectacular display of millions of flowering tulips during your morning excursion to the world famous 70-acre Keukenhof Gardens. In the afternoon enjoy a scenic morning cruise through the historic harbor and canals of Amsterdam. See the beautiful homes that line the water, the fabled Skinny Bridge, and the famous house where Anne Frank spent years in hiding during World War II. 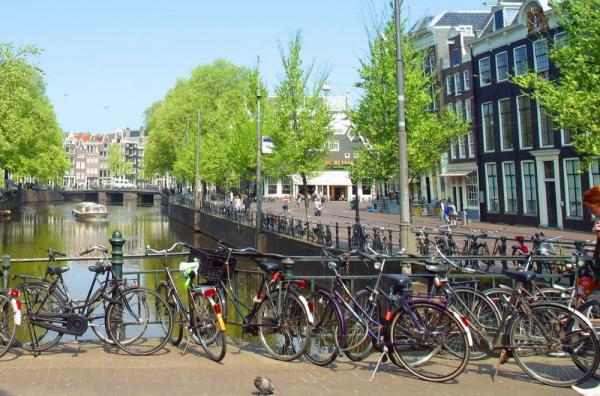 You can opt instead for an excursion to delightful Zaanse Schans, a small historic village just outside of Amsterdam, or stay in Amsterdam for a walking tour of the upscale Jordaan district. The ship moors overnight in Amsterdam. Disembark the ship and prepare for your homeward flight. This luxurious river cruiser features panoramic views from the sundeck, a pool and swim-up bar, gourmet meals, luxurious lounges, and comfortable rooms for up to 164 passengers. Piano Deck, Fixed Window. 148 sq.ft. Piano Deck, Fixed Windows. 148 sq.ft. Violin & Cello Deck, French Balcony. 170 sq.ft. Cello Deck, French & Outside Balcony. 210 sq.ft. Violin Deck. French & Outside Balcony. 210 sq.ft. Cello Deck. French & Outside Balcony. 235 sq.ft. Violin Deck. French & Outside Balcony. 235 sq.ft. Violin Deck. French & Outside Balcony. 290 sq.ft. Violin Deck. French & Outside Balcony. 350 sq.ft.